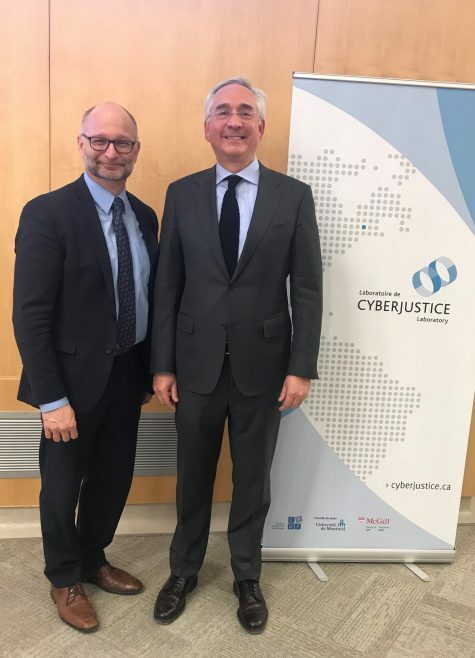 On Thursday, March 28, 2019, the Cyberjustice Laboratory received a visit from the Honourable David Lametti, Minister of Justice and Attorney General of Canada. Welcomed by the Laboratory's Director, Professor Karim Benyekhlef, and his team, it was with great interest that the Minister learned about the technological tools developed by the Laboratory: the PARLe platform, the virtual court, the electronic registry and the courtroom interface. The Federal Ministry of Justice is also a partner in the major research project entitled Autonomy Through Cyberjustice Technologies and artificial intelligence (ACT), which is being conducted by the Cyberjustice Laboratory. Minister David Lametti was able to monitor its progress. This six-year project, which began last year, includes the development of guides to good practices and a governance framework to ensure that artificial intelligence tools are used in the judicial and administrative system in a way that is consistent with the fundamental rights of Canadians. During this exchange, the Minister congratulated the Laboratory team for its unique and groundbreaking work. He paid particular attention to issues concerning the protection of personal data in the context of policies aimed at opening up data (Open Data). This question has become crucial at a time when artificial intelligence tools are constantly searching for data. The AJC partnership aims to put artificial intelligence at the service of judicial actors to improve conflict prevention and resolution. 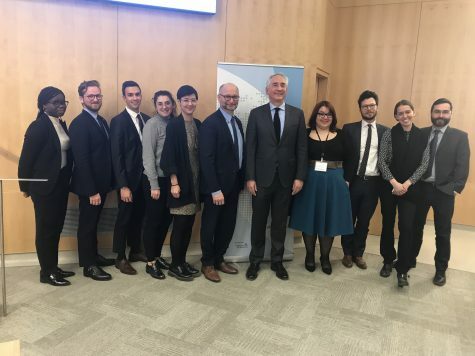 AJC brings together a team of 45 researchers and 42 partners representing: the best global research centres dedicated to the introduction and use of technologies in the field of justice (cyberjustice); litigants and legal professionals (judicial actors); and the main users and developers of AI for justice in Canada. This content has been updated on 04/04/2019 at 16 h 45 min.